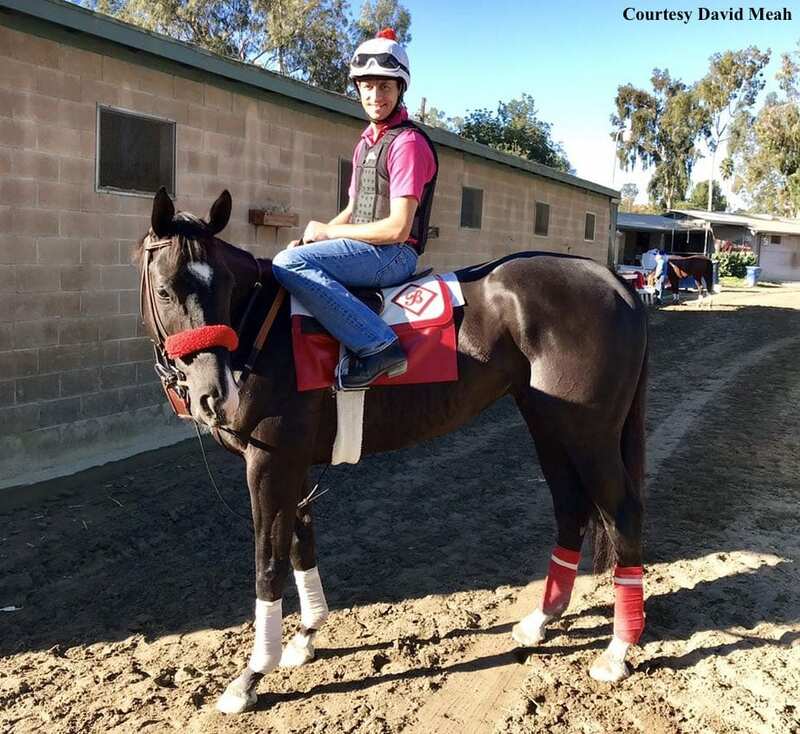 David Meah, former assistant to Richard Baltas, is now on board with his wife, Anna, who is training in her own right with eight head at Santa Anita's Autumn Meet and has her first horse entered on Thursday, Sekhmet's Revenge, in the first race. While still with Baltas, Meah bought Next Shares for $190,000 at Keeneland in November of last year. Winner of the Grade I Shadwell Turf Mile on Oct. 13, Next Shares is an outsider in the Breeders' Cup Mile Nov. 3. Anna, 26, also worked with David while with Baltas. A native of Battle Ground, a little town north of Vancouver, Washington, Anna arrived at Hollywood Park in December of 2012, worked for Eoin Harty and Walther Solis, met David, and the rest is blissful history. This entry was posted in People and tagged anna meah, David Meah, first start, next shares, Richard Baltas, santa anita, santa anita park, trainer by Ed Golden/Santa Anita. Bookmark the permalink.